I spend a lot of time these days teaching photography. It's great watching people's faces light up when they finally grasp a concept. One of the toughest and most important of those concepts is the relationship between aperture, shutter speed and ISO in making an exposure. Those three are closely connected, and that connection is the basis of every photograph. Let's start by thinking about what's happening with light when you take a picture. The light passes through the lens and then through the shutter before it arrives at either a sensor or a frame of film. The camera's lens and shutter control how much light gets to that sensor or film frame. Almost every camera lens has a mechanical diaphragm inside that can be opened up and closed down to let in more or less light. The lens opening is called the aperture, and it's referred to using the term f/numbers or, more commonly, f/stops. A large opening, of course, lets in more light than a small one. Unfortunately, this simple fact can get confusing because the large openings are referred to with...you guessed it...small numbers, while large numbers mean that a small opening is being used. Doesn't seem to make sense, I know. Well, it has to do with mathematics involving the length of the lens and the diameter of the aperture. Trust me on this: it's tougher to explain than it is to work with. What it means in practical terms is that if we want to let more light in through the lens, we have to open up the aperture, which means going from, say, f/11 to f/5.6. Bigger number, smaller opening to smaller number, larger opening. A fast lens (which means one capable of a very wide opening) would have a maximum aperture of f/2.8, f/2, f/1.8 or f/1.4. Most lenses will close down—meaning a narrowing of the aperture—to somewhere between f/22 and f/32. A full stop difference (again, math's involved) means that half as much, or twice as much, light is allowed to enter to reach the sensor or the film. The other part of the exposure equation is shutter speed. The camera's shutter controls how long the light coming through the lens gets to hit the media—film or sensor—inside the camera. This length of time is expressed most often in fractions of a second. A very fast shutter speed would be 1/1000 second, and that speed would freeze most action in its tracks. A slow shutter speed like 1/30 second would blur a person casually strolling by. Most cameras offer a wide range of shutter speeds, from as long as 30 seconds to as short as 1/8000 second. The lower the ISO—100, for example—the more light we need to get a proper exposure. The higher the number—say, 800—the less light we need. Doubling or halving the ISO means we need half as much or twice as much light. Since we need less light with a higher ISO, you might be tempted to use a high ISO all the time, but the problem is, as we go up in sensitivity, we tend to lose some color saturation and gain some noise, which gives pictures a grainy look. So it's our job to manage exposure to get the sharp, clear photos we want. The key thing to remember is that the three elements—aperture, shutter speed and ISO—are always linked. For photographers it's a balancing act, and so we're always adjusting the shutter speed and aperture for the right exposure and the effect we want. Of course, you can bypass all of the above simply by setting your camera for auto or program mode and letting the built-in computer do the work. Still, understanding the relationship of aperture, shutter speed and ISO will give you a greater understanding of how to take creative control of your photography. Visit Reed’s website, www.reedhoffmann.com, to view a collection of his images and learn about upcoming workshops. 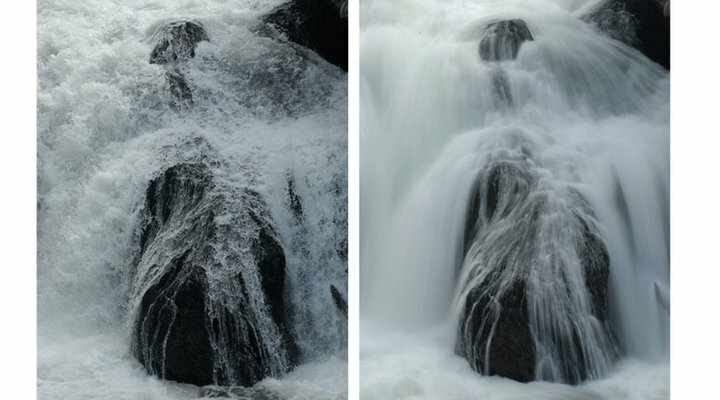 The relationship between aperture, shutter speed and ISO is the basis of every photograph. Reed Hoffmann explains this important concept.